Gift giving – to the one we love most – can be hard. We want to get it right. Really right. The gift of an engagement ring means she’s the one for you forever. The gift of diamonds tells her your love for her is stronger than ever. The gift of gemstones lets her know she adds color to your life every day. Sisters, Amy (Maxson) and Melanie (Purnell) of Leslie Jewelers in Searcy, AR love to help you find the perfect gift. Their storefront has been a place of perfect gifts of fine jewelry and watches in downtown Searcy for 80 years. They describe themselves as “a historical jeweler with a modern sophistication.” So Arkansans, if you are looking for the perfect gift of an engagement ring, diamonds or gemstones this Christmas season, stop into Leslie Jewelers in Searcy, they are our Coast Diamond Retailer of the Week. With Christmas literally right around the corner (you have a few more days to shop), and New Years soon to follow, celebration and gift-giving are on everyone’s minds. You want to give the right gift and Coast diamonds and gemstones can never be wrong. An engagement ring is the gift of forever love. This Coast Diamond classic halo engagement ring (LC10233) with delicately set diamonds on the shoulders is highlighted with an oval diamond. Your forever love will be thrilled to look at this beauty every day. 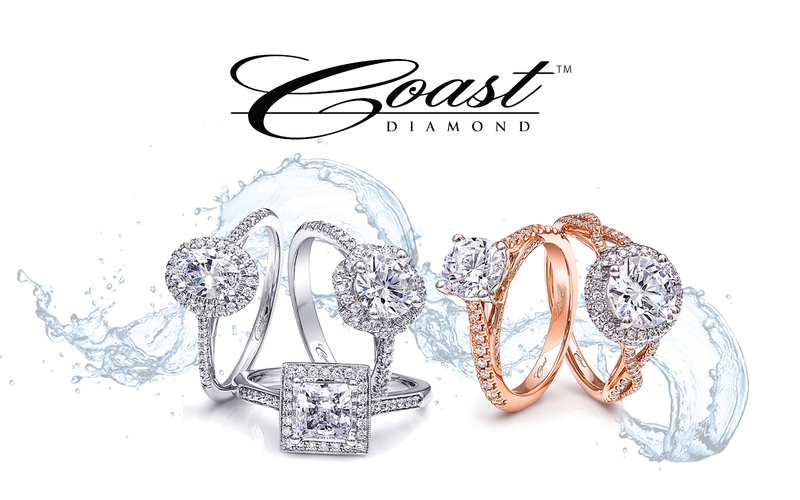 The gift of Coast Diamond isn’t just in an engagement ring. Our fashion rings are the coveted gift of today. No woman can have enough diamonds to stack. A stackable ring like the Coast Diamond band with round diamonds set in marquise shapes (WC7034) looks great alone and even better in a stack of more diamond rings. Our Coast Diamond Signature Color Collection is full of rare gemstones in stunning settings adorned with diamonds. Add more color to her life this holiday season with the gorgeous 4.73 ct Marsala colored Zircon Coast Diamond ring (LCK8003-ZIR). It is fabulous in a setting of pavé diamonds and finished with milgrain detailing. Time is short but the entire staff at Leslie Jewelers is ready to help you find your gift of Coast Diamond this holiday season. Stop into their downtown Searcy store today! Congratulations to Leslie Jewelers in Searcy, AR for being our Coast Diamond Retailer of the Week!